How to Find Us – By Road, Walking or Train. Map and Directions, just click on Directions send to email or your mobile. 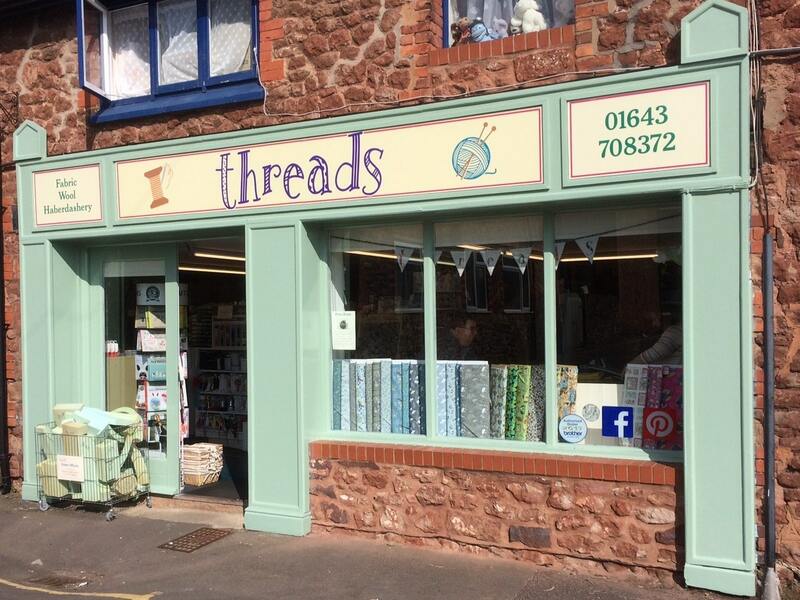 Threads is situated in Summerland Place in the Co-op car park, just off The Avenue, Minehead. There is ample car parking directly outside the shop. There is also disabled parking to the side of the shop. There is a low step at the shop entrance. A ramp is available for Wheelchair access, if required. We are a short walk from The Avenue bus stop. Short walk up from the West Somerset Railway Station in Minehead.